A tried and true method to get me quickly invested in your album is to make it feel bigger than just a collection of tracks. Show me a glimpse of a world beyond our own only, a place only accessible through the audio output of a select group of individuals. Creating this environment is something Seer succeed massively in with Vol. 6, an album that finds the Vancouver based doom-dealers finally achieving the heights their previous releases have hinted (strongly at times) at. I guess you could look at the previous albums like stops along the way up the mountain to the summit, which is now within reach. Fitting, since the story Seer convey this album is that of a monk making a pilgrimage to the tallest peak in the land. This feeling of a cohesive world that we’re journeying through and experiencing is created through tight song writing and tracks that flow between one another unnoticeably, with ambient sounds added to breathe life into the world they are building. This world that Seer have created is at once a dangerous aggressive place, as tracks such as ‘Iron Worth Striking’ demonstrate with the exact kind of slow and inescapable riffs you’d expect from a doom band, but one of lightness as well. Tracks like the albums opener and closer – ‘Oath of Exile’ and ‘Prior Forms’ demonstrate that Seer understand that the juxtaposition of something gentle against the stone-hardness that lies at the core of Vol. 6 only serves to strengthen both. While this is effective on the album level, when it’s done on the song level with clean vocals and unexpected instrumentation as well, it makes each song a journey that keeps you guessing what’s coming around the next corner. Seer’s songwriting on this album is the most effective of their career, each track standing distinct on its own while still feeling like an essential piece of the album that bore it. There isn’t a moment on Vol. 6 that sounds out of place or happenstance; it all feels like the work of craftsmen with a keen ear for their craft and a high amount of respect for the music they are creating. Guitar riffs the size of old growth trees collide with percussion that rumbles tectonically, carrying the listener up the mountain trail every step of the way, only releasing them once the peak has been reached. The use of clean and shouted vocals, a signature for Seer at this point, add an emotional depth to the album that would have been much harder to convey if they had simply followed the usual doom metal course and gone with only aggressive (probably indecipherable) howls. An emotional core that isn’t necessarily focused on bursts of rage or aggression is a breath of fresh air in not only metal but in doom specifically, a sub-genre that finds itself all to often preoccupied with drugs, the devil and yelling discordantly about both. It can be understandably off-putting(and honestly kinda boring at this point) and it’s encouraging to see a band subvert elements of the genre and do something that lifts it out of the conventions and stereotypes that pigeonhole this sub-genre as only “stoner metal.” Seer’s Vol. 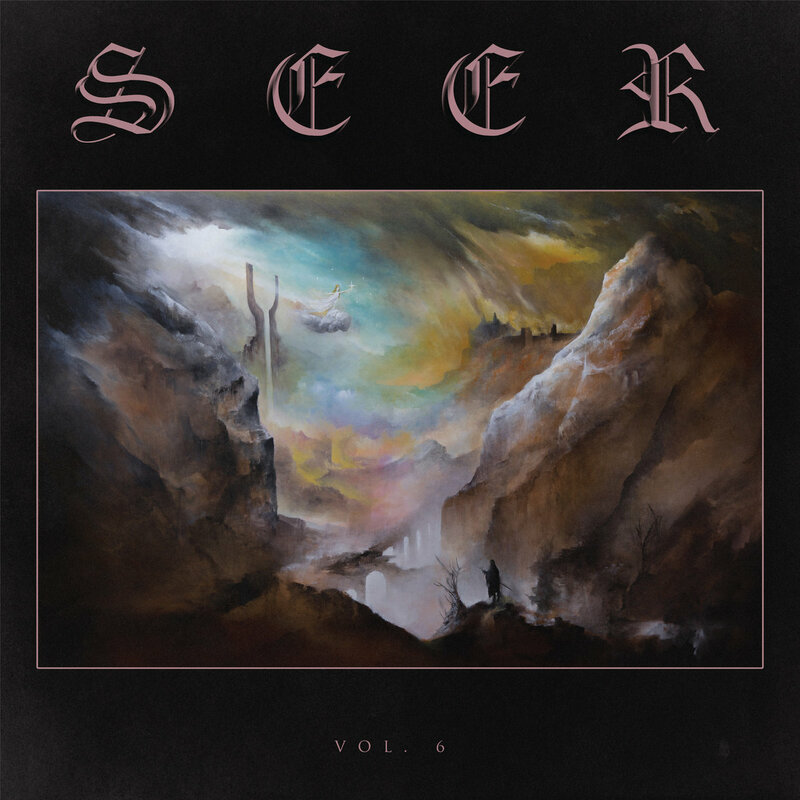 6 is one of the most effective sonic journey I’ve taken in years and I can see this album being talked about as a high point not only for Seer but doom metal in general for years to come. You can snag a copy of Vol. 6 as well as the rest of Seers’ releases over on their Bandcamp.